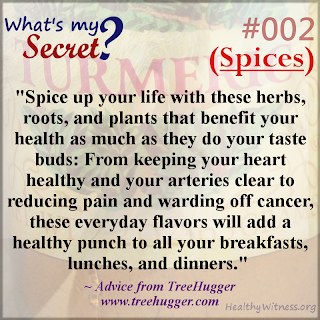 You can say, I've "spiced-up" my life! My shelf was full of "blended spices" but now, it's full on basically one-ingredient spices (read the ingredient list on the label no matter what is says on front). Some blends use gluten, salt, or sweeteners to bulk it and don't have to list it on the list. Since people think veggies and food is bland when you take our salt and sugar, then try something new! Yes, this was out of my comfort zone and new and different and scary! But you have to dive in when it's your health you're working with! This was easy to go to since we like curry, but curry is a BLEND, so why not just use the best spice in it! Here is more amazing information on turmeric and health benefits from Dr. Axe. Read more here about Curcumin from the Medicine Hunter! Amazing stuff. Another one that is blended in our Chili powder and such, but now we just buy it alone and use it in various recipes; from omelets (turmeric too) and smoothies! Read more from Dr Axe on Cayenne. 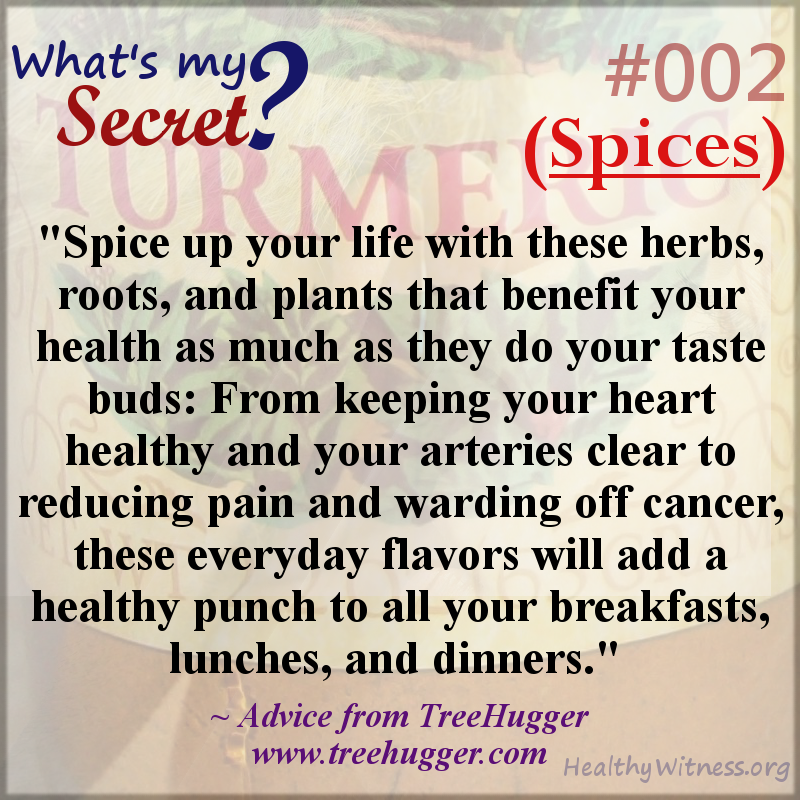 Make Spices a staple and not a challenge or hindrance. It could mean HEALTH or SICKNESS! Spice it up!